A new Ghostbusters movie enroute is also good news for fans of the original, because it means there’s a renewed interest in the franchise, and in turn, tons of new merchandise. 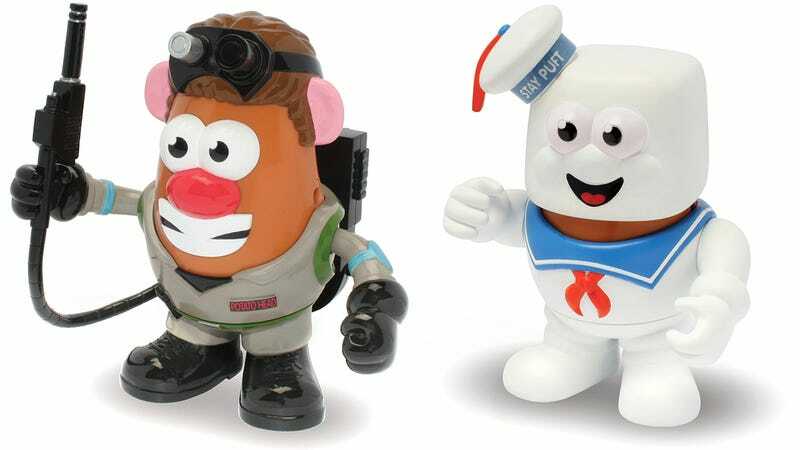 PPW Toys continues to expand its PopTaters line with a couple of new Ghostbusters Mr. Potato Heads, including the Stay Puft Marshmallow Man. Available starting in June for $20 each, the ghost-busting version of Mr. Potato Head, with his name emblazoned on his jumpsuit, includes goggles and a proton pack strapped to his back. The Stay Puft version is a little simpler, but still manages to perfectly capture that unwavering smile that made the towering character extra creepy in the original.